If you follow me on social media (if you don’t you should, check the links in the top bar), you know that during May and June I had some major webhosting issues. Long story short, in March I left the host I’ve had since my beginnings, that is Hostgator. I left them for a bunch of reason, but mostly a mix between, my sites had become too slow with them, my subscription had become too expensive (especially as the quality of service was going down more and more). Also, you know how now every site has to be in https instead of http? Well, while most hosts will offer this for free, not Hostgator. So, after months of debating what to do, I had to leave. I moved to another webhost called Siteground on the advice of a friend and some pretty good reviews. Everything went smoothly for almost two months, when suddenly all of my sites became pretty much unusable. Trying to figure out what was wrong, I found out that my sites were using too much resources on their server (despite my meager traffic). Basically the server was just not strong enough to house all of my sites together. That was not specified anywhere when I signed up (I actually looked at all the information they provided to be sure), and for two months everything was smooth. And honestly, that’s unheard of with pretty much any webhost I know of. And to make things worse, their support was not helpful at all, just reiterating the problem I had, and telling me to fix it myself or to upgrade. I had to threaten to leave them in order to get some high level employees to communicate with me… They ended up being no more helpful, but at least they were more polite and more respectful, not the case with all support staff with them. The problem could just not be fixed. The fact that everything worked fine for two months – their money back plan is only 30 days – and then the fact that their first reaction was telling me to upgrade, makes me wonder if it wasn’t planned this way from the get-go from their part. Anyways, the lesson to be learned here is that if you’re looking for a webhost, stay away from Siteground! Things have been working smoothly for a few weeks now, but I admit that spending pretty much all of my free time during all of May and most of June trying to fix this, kinda burned me out of blogging for a little while, hence my silence; the little time I would spend blogging was on my Japan blogs, not here, sorry. But now, August is upon us, with crazy temperatures here in Japan, because you know, global warming is going to kill us all eventually, and our various governments all over the world don’t think it’s a priority as long as there is some money to be made by their friends. But while I’m still alive, I intend to get this blog keeping on going, and here I am back. (not sure this last sentence is very grammatically correct, oh well). 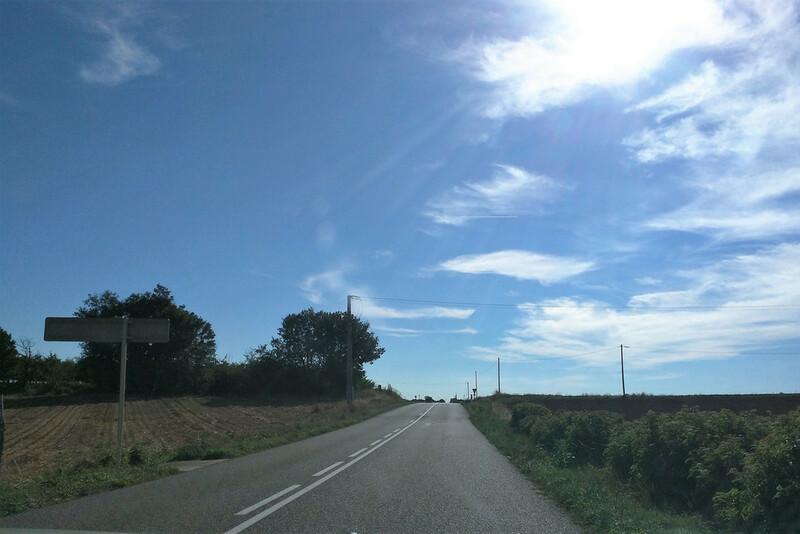 Also, one year ago, I was back to France for a month after three and a half years away (the longest I had been away from my homeland). 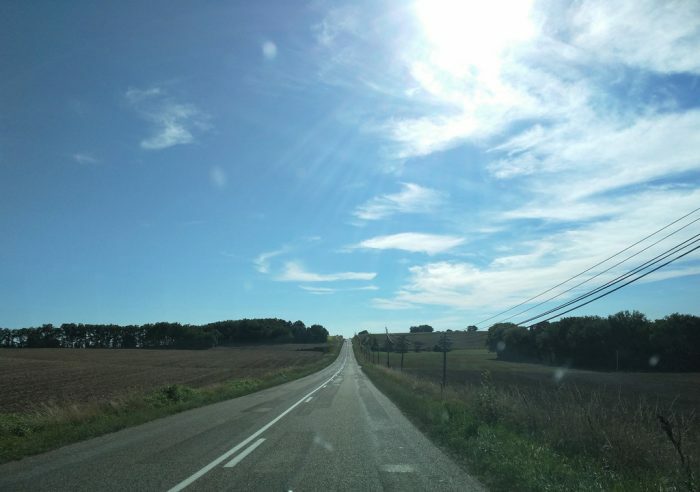 This year, no trip to France, and I’m a little bit homesick I have to admit (especially because two of my good friends who also live in Asia are currently vacationing in France). So, as I have some pictures (not so great though) left from last year, I’ll try to post them during the month. 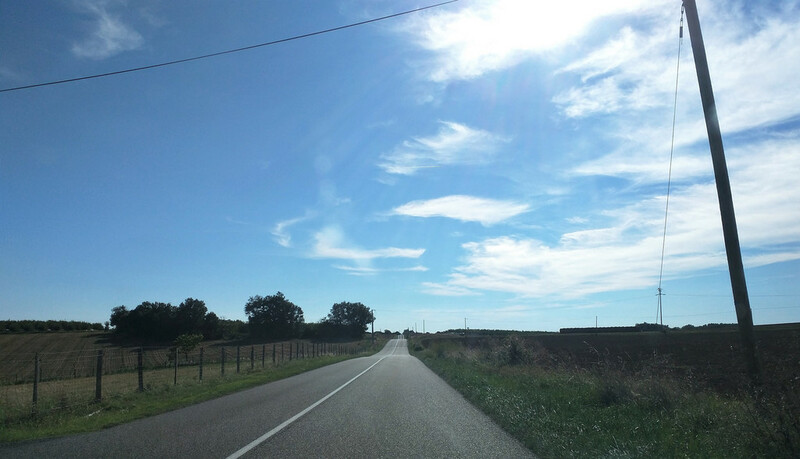 This is the road between Agen (my hometown) and Cahors. 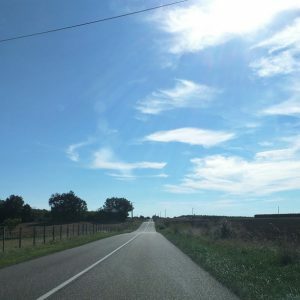 More precisely between the villages of Pont-du-Casse and Tournon d’Agenais, there are some large sections that go completely straight, regardless of topography, for kilometers. 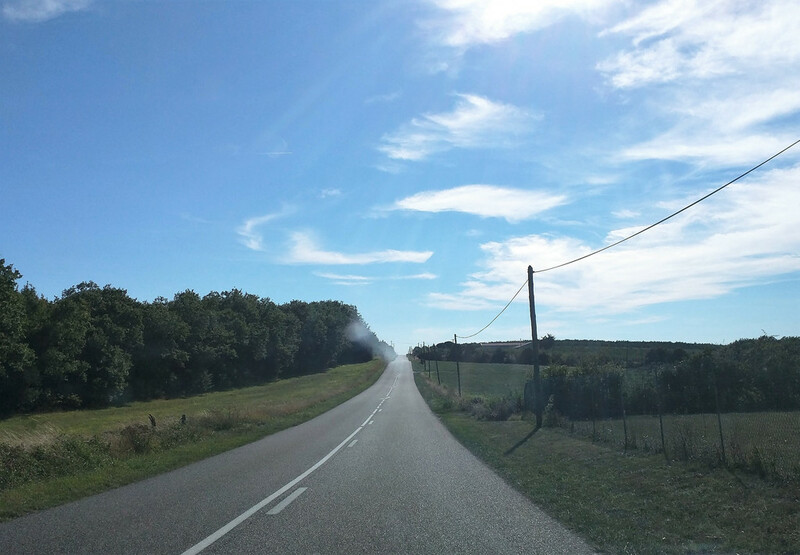 Something quite unusual for a small country road. 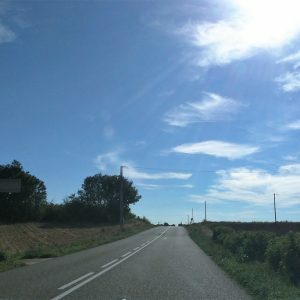 The reason is that it’s actually a very old road that was originally built by the Romans about 2000 years ago. 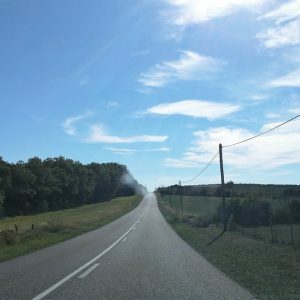 As a kid, I used to hate that road, because it often meant the beginning of a long and boring day trip, but as an adult, I love it, because it usually means the beginning of an awesome day trip to Dordogne or Quercy. I indeed took a few last year.